Angles are lovely, but we love a head-on photo of key moments created by our clients. 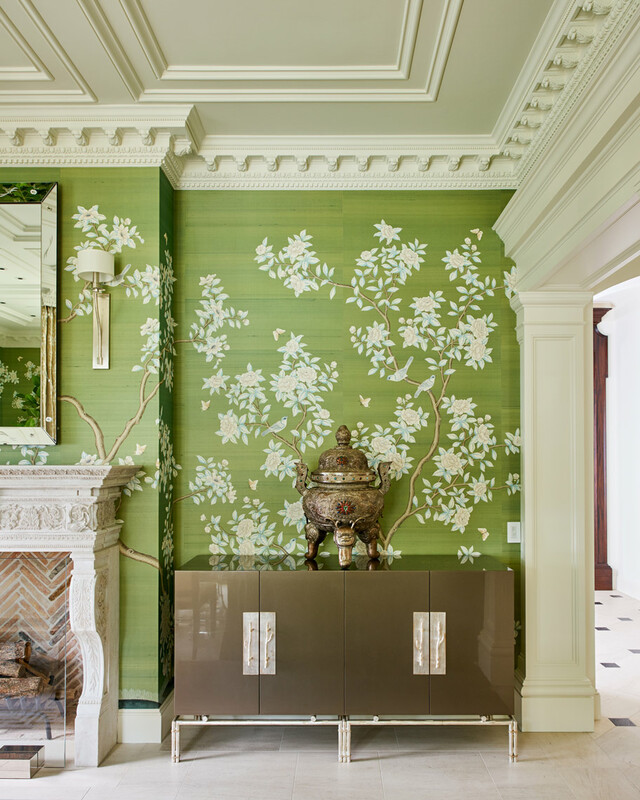 This single photo demonstrates her eye for scale, her love of classical architecture and her ability to infuse a client’s cherished objects into a space. Showcasing this dramatic ruby red study was an opportunity to highlight Laure Lee clark’s versatility as a designer. we leveraged light and shadow on the high-gloss surfaces to further highlight the architecture of the room.